I think I first saw this image on Facebook, shared by Malcolm. He said, "Wow." Indeed. It is an incredible deep photograph. 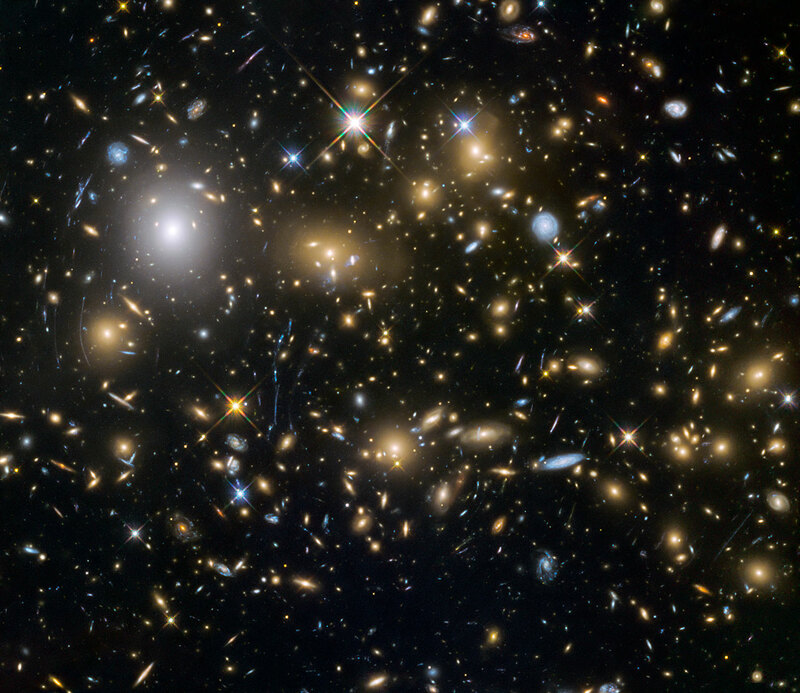 This is the galaxy cluster MACSJ0717.5+3745, one of six being studied by the Hubble Frontier Fields programme. It shows significant gravitational lensing as revealed by the stretched and distorted background galaxies throughout. Still, my first impression was: dense! Look at all them! What a fantastic universe. Credit: NASA, ESA and the HST Frontier Fields team (STScI). Image and words from the Hubble Space Telescope site.